Nicolaus Copernicus was the Polish mathematician and astronomer who first laid out the proposal that the sun was stationary and was the center of the universe and that the earth revolved around that sun. Because of that theory, he is considered by many to have started the scientific revolution. Nicolaus Copernicus (February 19, 1473 - May 24, 1543) was a polymath: an expert in astronomy, mathematics, medicine, law, economics, and diplomacy. The accomplishment for which he is famous, astronomy, was an avocation. He presented the first modern theory of of a heliocentric, or sun-centered, solar system. Prior to his postulation of that theory, scientists believed that the planets and the Sun revolved around Earth. The so-called "Copernican Revolution" had an effect on more than just cosmology and science, but in philosophy, culture, and theology. He was born in Royal Prussia, and the uncertainties about the geography and history of the region, his nationality has long been debated. There was one school of thought which dictated that he was German and another which thought him to be a Pole. Modern history books call him a German Pole. His father, a rich businessman, died when Copernicus was ten years old, apparently having outlived the boy's mother, Barbara. Nicolaus and his brother and two sisters were raised by their Uncle Lucas, who was a canon -- which is an administrative position below Bishop -- in the Catholic Church. When he was 18, he entered University in Krakow, where he studied astronomy, after which he went to Italy to study medicine and law. At the behest of his uncle, he also studied canon law, though it would be years before he actually obtained his degree. It was during the time he spent in that pursuit that he met and became an assistant to the famed astronomer Domenico Maria Novara da Ferrara. He attended the Jubilee in Rome in 1500, as devout Catholics did, and ended up staying for a year, lecturing to mathematics and astronomy scholars. While there, he had the opportunity to observe the lunar eclipse of November 6, 1500. He returned from Rome in 1501 and was installed, with a little help from Uncle Lucas, who was by now a Bishop, as canon of the Ermland Chapter a few months later, but given that he had not finished his canon law degree, he asked Uncle Lucas for permission to return to Italy, where he promised to obtain a law degree and study medicine, which would make him most useful in any parish. So he set off once again for Italy; this time to study in Padua, which had an exemplary medical school. Nicolaus studied medicine and astronomy, and in 1503, he decided to go to the University of Ferrara to earn his doctorate in canon law. Once he received the law doctorate, he returned to Padua to continue studying medicine, though there is no evidence that he actually earned a degree in medicine. In 1514, he wrote his handwritten text, "Commentariolus," which described his theory about heliocentric hypothesis, which he gave to friends before working on discovering more information and expanding upon that work. But the Commentariolus made the rounds in scientific circles, with Nicolaus procrastinating with the publishing of his expanded theory even while people begged him to publish. In that text, he opined that the Earth, which turns on its axis once a day, revolves around the fixed sun one time every year. He correctly postulated the planets in the solar system in their correct order. He described the tilt of the Earth on its axis was the cause of the seasons. By 1539, Nicolaus was a famous man, having lectured across Europe and spawned numerous disciples and followers. 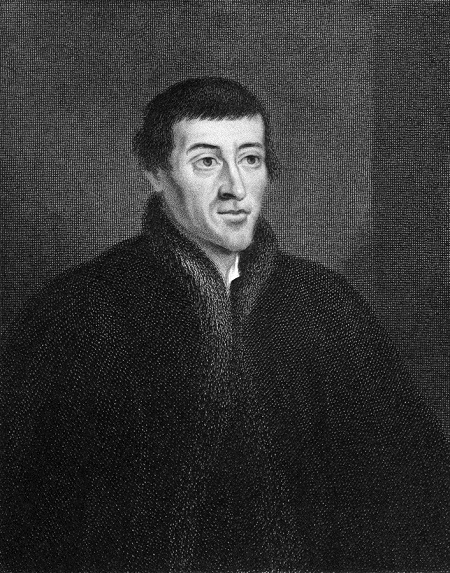 That year, he was visited by an Austrian mathematics and astronomy professor by the name of Georg Joachim Rheticus from the University of Wittenberg. Rheticus ended up staying and studying under Copernicus for two years, and he ended up authoring a book entitled Narratio Prima, which outlined Nicolaus's theory. It was this book which apparently prompted Nicolaus to work on readying De Revolutionibus for publication, and the theories set forth in that book are thought of by many to be the very beginning of modern astronomy. The apparent retrograde motion of the planets is caused by the motion of the Earth, from which one observes. Although parts of the contents of the book flew in the face of Catholic doctrine of the day, the book was dedicated to Pope Paul III, writing that he wanted to write it due in part to the fact that astronomers from history had failed to agree on an adequate theory of the planets and the solar system, and that if his theory and writings could bring accuracy to astronomical predictions, the Church would be able to develop a more accurate calendar, which was a project that the Vatican had been supporting, largely by funding astronomers. In late 1542, Nicolaus was stricken with apoplexy, which was what we now call a stroke. And from that, he was paralyzed for months before he died. Nicolaus was on his deathbed when the expansion of Commentariolus was finally published, and it is said that when the first printed copy of De Revolutionibus was finally put into his hands on the day he died, he woke up from his coma, looked at the book, and then died peacefully. Consists of a biography of the early astronomer, links to other websites which contain information about him, and various news items about him, including the discovery of his remains in 2008. Sections of this website are dedicated to the pioneering scientist's life story, his discoveries, his book, "On the Revolutions," and a host of resources. Delves into the life and discoveries of the mathematician and astronomer, including his observations about Ptolemy and his theories and systems. This biography includes information about the life as well as the works of Copernicus. Also contains his writings and elucidation on his ideas and an overview of the reactions to "On the Revolutions." Provides the life story of the astronomer, details about his works, and what it was like to be an astronomer during his day. Search for Copernicus, Nicolaus on Google, Bing, or Yahoo!